From above tablets, we can see that you can’t playback neither Divx AVI or Xvid AVI files on Sony Bravia TV via USB drive or DLNA server. To fix this format incompatible issue, you can use our powerful AVI to Sony Bravia TV Converter – Pavtube Video Converter to batch convert unsupported AVI files to Sony Bravia TV other USB compatible file formats such as MPEG-1, MPEG-2 TS, AVC (MPEG-4 Part 10), WMV (9/VC-1). For advanced users, you can then flexibly adjust other playback settings such as video codec, file size, bit rate, frame rate and audio codec, bit rate, sample rate, channels, etc in the program’s “Profile Settings” window to get the best output video and audio quality for Sony Bravia TV. For those people who have no idea how to tweak those settings on your own, you can use our program to directly output Sony TV preset profile formats with the optimal playback settings. For Mac users, you can switch to download Pavtube Video Converter for Mac to perform AVI to Sony Bravia TV conversion on macOS High Sierra, macOS Sierra, Mac OS X El Capitan, Mac OS X Yosemite, Mac OS X Mavericks, etc. How to Convert AVI Files for Sony Bravia TV Playing from USB Drive? 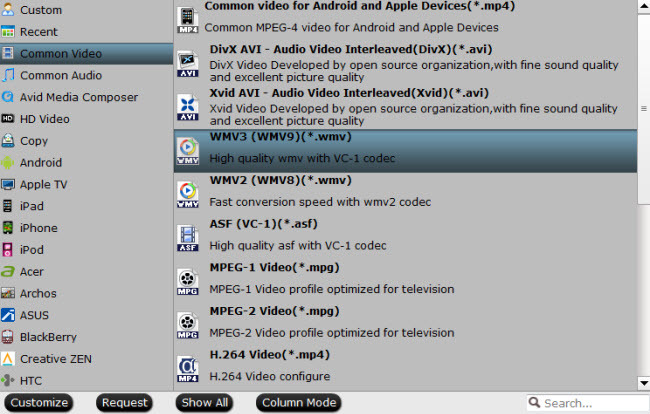 Install and run this best AVI to Sony Bravia TV Converter, and then import the source AVI videos to it. 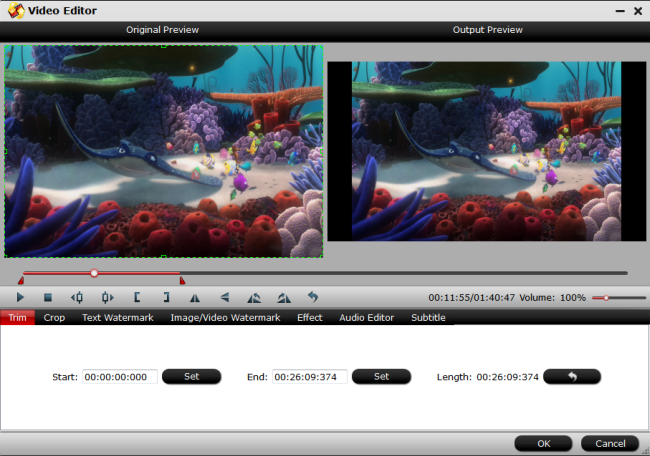 To do so, you can directly drag & drop the files onto the main interface, or you can click the “Add video” icon on the upper left to locate the videos from your local disk. Note that batch conversion is supported, so you can add several files to the converter at one time. 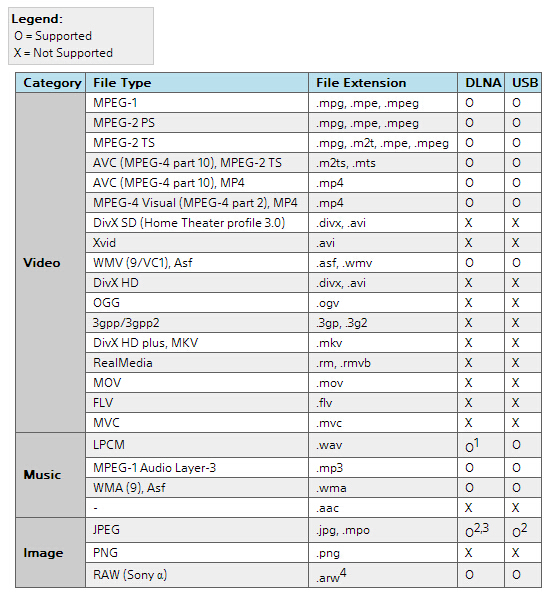 Click “Format” bar, from its drop-down list, select one of Sony Bravia TV playable file formats such as MPEG-1, MPEG-2 TS, H.264/MPEG-4 AVC, WMV9/VC-1. 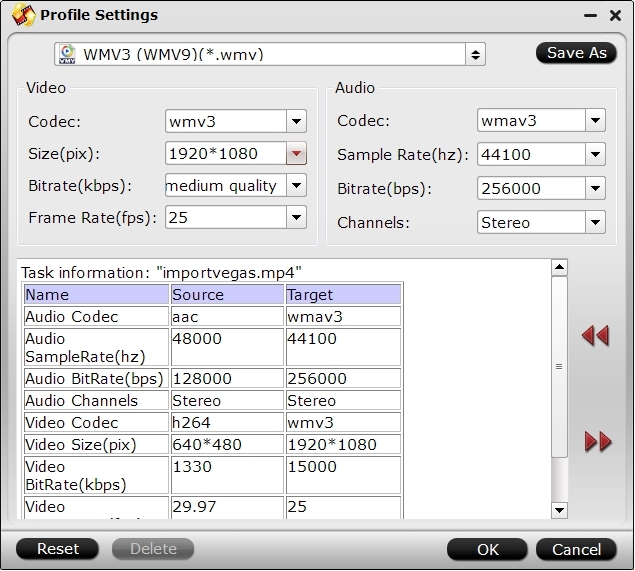 Then Click “Settings” on the main interface to open “Profile Settings” window, here, you can flexibly adjust the output profile parameters including video codec, resolution, bit rate, frame rate, audio codec, bit rate, sample rate, channels, etc as you like to get better output video and audio quality for Sony Bravia TV. Step 3: Compress files for Sony Bravia TV. 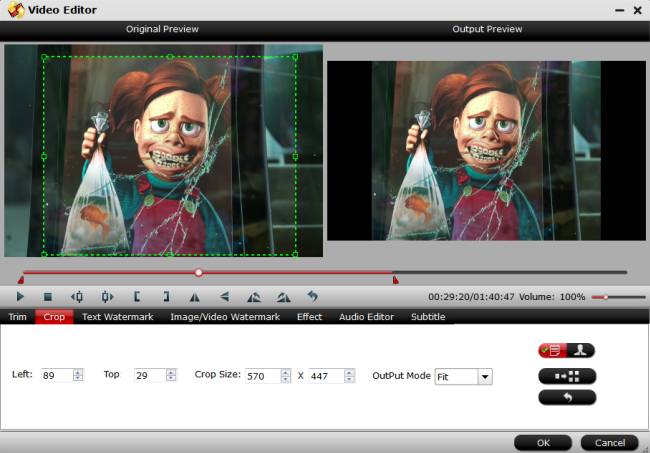 Open “Video Editor” window and switch to the “Trim” tab, you can drag the slider bars to include the segment you want to remain, click the left square bracket to set start point, and click the right square bracket to set end point when previewing the video or directly input specific values to “Start” and “End” box. In “Simple Mode”, you can customize values in the box of “Left”, “Top” and “Crop Size” to make your crop decision. Under “Advanced Mode”, there are four value fields: Left, Top, Width and Height. You can either type in specific values to the fields or adjust sliders to crop the source file. Go back to the main interface, click right-bottom “Convert” button to start AVI to Sony Bravia TV USB format conversion process immediately. 1. Connect the flash drive to the USB port of the TV. 2. Press the MENU button on the supplied remote. Press the UP or DOWN arrow button to go to Video, then press the select or enter button. The file or folder list will appear. 3. Press any of 4 arrow buttons to select a file or folder, then press the select or enter button. When you select a folder, select a file then press the select or enter button. Playback will start.